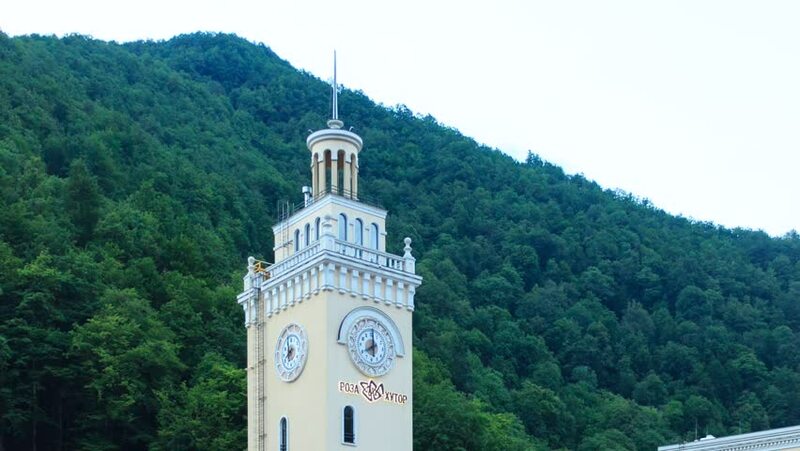 Clock Tower Rosa Khutor, timelapse Sochi, Russia - July 14, 2015: Venue Winter Olympic Games 2014.
hd00:44The observation tower on mount Ahun is a landmark of the city of Sochi. Aerial photography with quadrocopter. Panoramic view of the big Sochi. Mountains, forest, sea View of Adler, Krasnaya Polyana. 4k00:18Flying over the famous lighthouse "Le Phare des Poulains", nearby the house of Sarah Bernhard, located in the island of Belle-ile-en-Mer, Morbihan, Brittany, France. 4k00:14WEMDING, GERMANY - DECEMBER 02: Timelapse view on the historic Church in Winter on December 02, 2015 in Wemding, Germany.